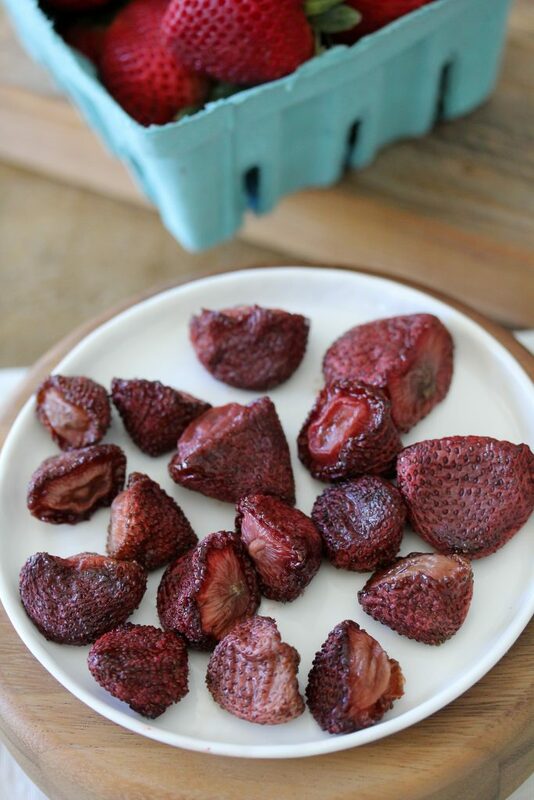 These Oven Dried Strawberries from the Whole Smiths are brought to you in conjunction with California Strawberries. 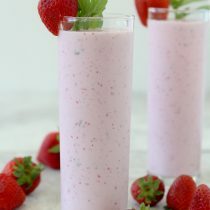 Not only is it easy enough for the kiddos to make but it’s tasty a tasty way to get some healthy nutrients in! 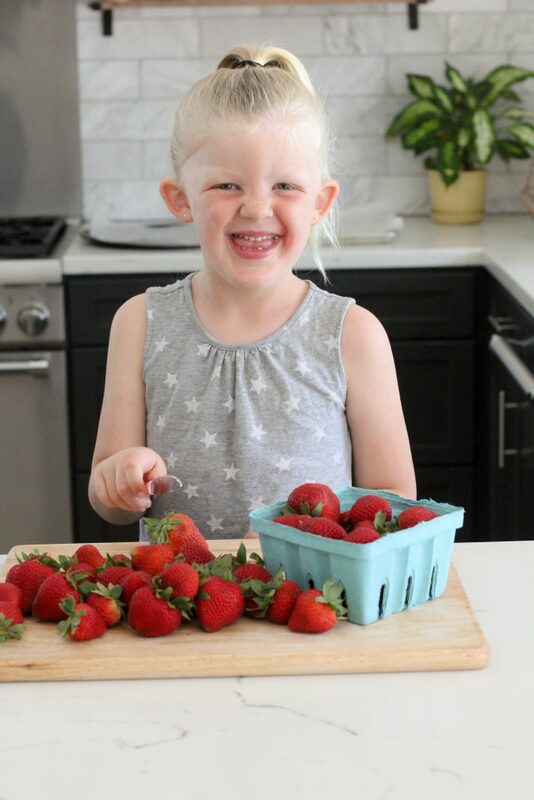 As you know, we love California Strawberries around here. We always have some on stock (or at least I try, they get eaten up so quickly!) and are always looking for new ways to eat them. This time, I wanted to find a way that I could have the kids involved in making their snack. I don’t know about you, but every time I let my kids “help” with the cooking a huge mess is left behind. Because of that, I knew this recipe was going to have to be easy and fairly mess-free. This recipe is so easy in fact that my kids pretty much did it all themselves. I assisted and closely watched them pulling the strawberries out of the oven (they’re 6 & 8) but other than that, they were on their own. 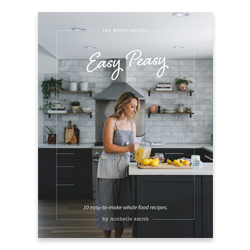 While the actual recipe takes a bit of inactive cooking time, prepping for this recipe is a breeze. The most labor intensive part of this is you need to do it cut the top off of the strawberries. Piece of cake, right? I find that when my kids help me in the kitchen they are more likely to eat whatever it is they’ve made. It’s been a great way to assist in getting them to eat their vegetables at night! Fortunately, getting them to eat strawberries isn’t quite as laborious as they’re likely to eat them whether they help or not. In fact, they were eating the strawberries as they cut the tops off. For every one they prepped one was also popped into their mouths. Because of this, it probably took twice as long to get our strawberries ready. Fortunately strawberries are packed with healthy nutrients and are low in sugar so it was totally fine. I can only imagine the Vitamin C they got into their systems that day. 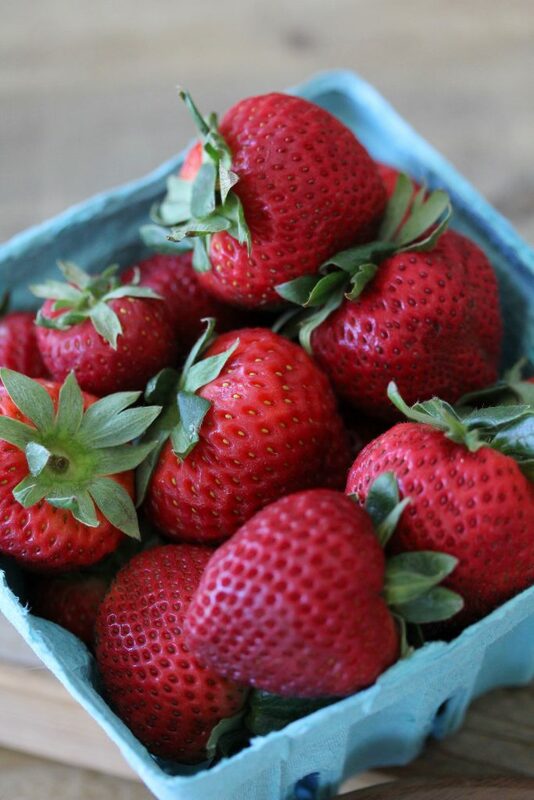 Did you know that just 6 strawberries contain more Vitamin C than an orange? True story. Not to mention, they’re loaded with antioxidants, folic acid and manganese. I honestly think strawberries are one of the only things my kids would choose to eat over candy. OR at least if I tell them no candy but they can have strawberries, they’re ok with that! I often get asked about what my children eat. Do they eat Whole30? Do they eat the same things that Brad and I do? The short of it is that yes, at home they eat the same things that Brad and I eat. Whole foods and we minimize foods and ingredients that I don’t feel serve our bodies and minds well. That’s how we eat at home and don’t make separate meals for them. Why would I? What does that teach them about the importance of fueling our bodies properly? With that being said, I don’t freak out about things that they eat when they’re outside of the home. Whether it’s treats at school or cake at a birthday party, I think it’s good to let them have some free will in choosing what they eat. I’m also careful not to demonize any foods as I am well aware of the ramifications of that too. I don’t want my girls ever growing up feeling guilty about anything they put in their mouths. I think it’s safe to say that we all know what that feels like and it’s not good. So yes, while the majority of what we eat at home is clean and healthy I don’t stress about the Friday pizzas night and the times we just want to enjoy. I figure if the majority of what we eat is good, then we’re all good. Ok, back to strawberries. Ohhhh the strawberries. 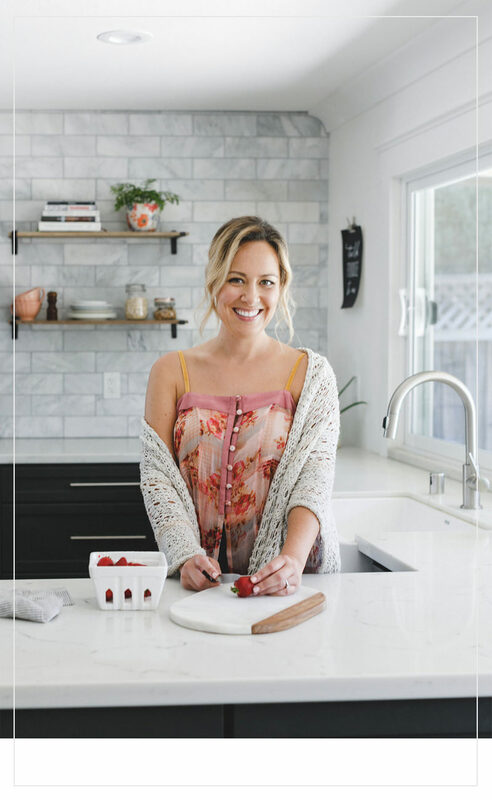 And maybe I’m biased being a 100% Can girl but California Strawberries rock our world. You know what the best is? Smelling an entire flat of freshly picked juicy strawberries. You all know that smell, don’t lie to me! 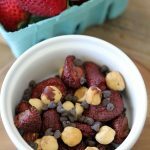 Once the strawberries were baked up and caramel-y I decided to add some toasted hazelnuts and some allergen-free mini chocolate chips to it for an extra kick and a fun on-the-go snack. Obviously, the kids can help with that part too. While I bought my hazelnuts already toasted, you can easily toast yours at home in the oven or skillet. 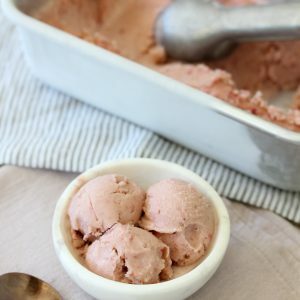 I love the flavor of the chocolate, strawberry and hazelnut all together, it’s the perfect combo. In fact, I make sure to get a little bit of each in every bite. Whether you’re packing these up to go, for lunches or just a snack at home, they’re sure to be a hit! 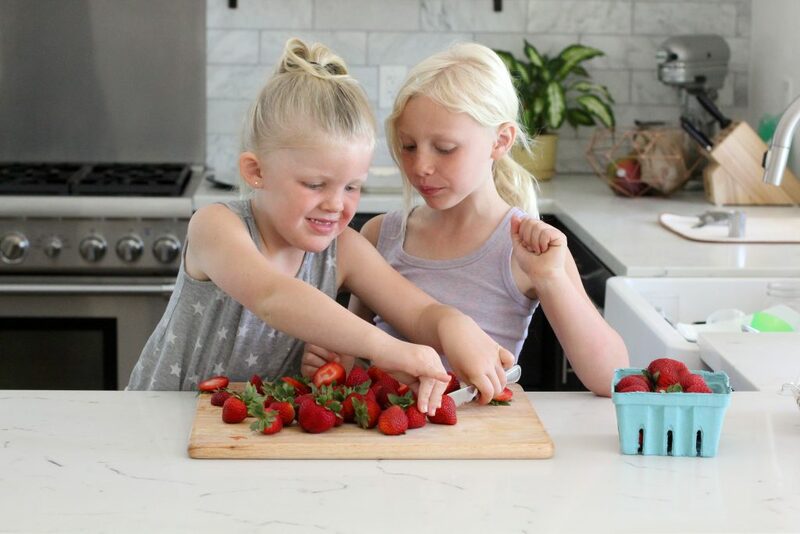 What are some easy ways that you involve your kids in the kitchen? Do they involve strawberries? 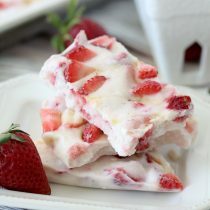 This recipe uses fresh California strawberries and is not only delicious but easy to make. 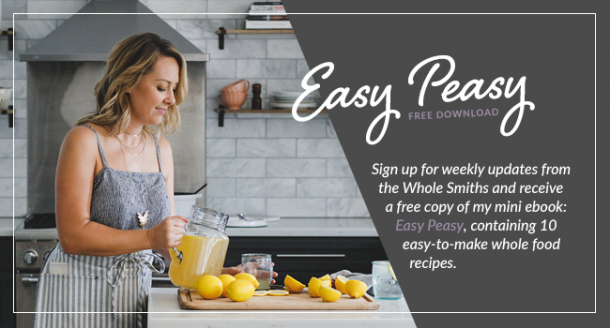 So easy that the kids can make this for you! Gluten-free & paleo! Preheat the oven to 200* F and line a baking sheet with parchment paper. 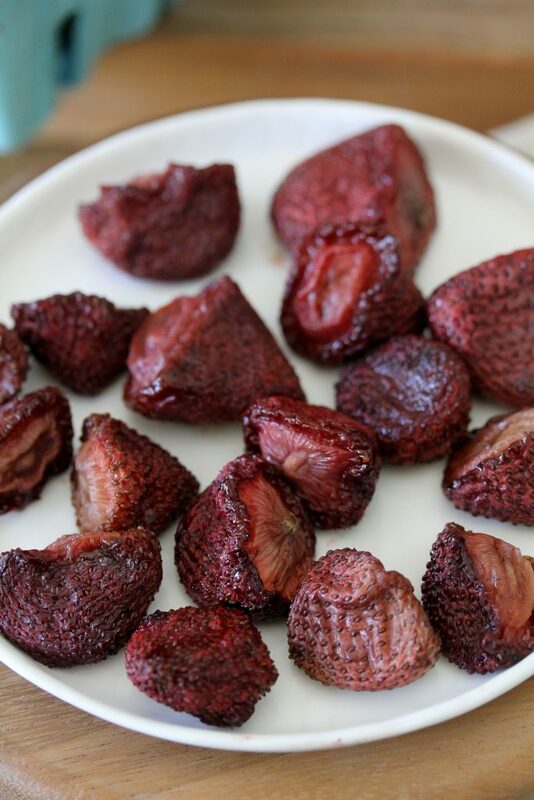 Toss the coconut sugar with the strawberries in a large bowl until they are coated. Evenly space the strawberries onto the baking sheet and bake for 5-6 hours until the strawberries have slightly caramelized and are tender. 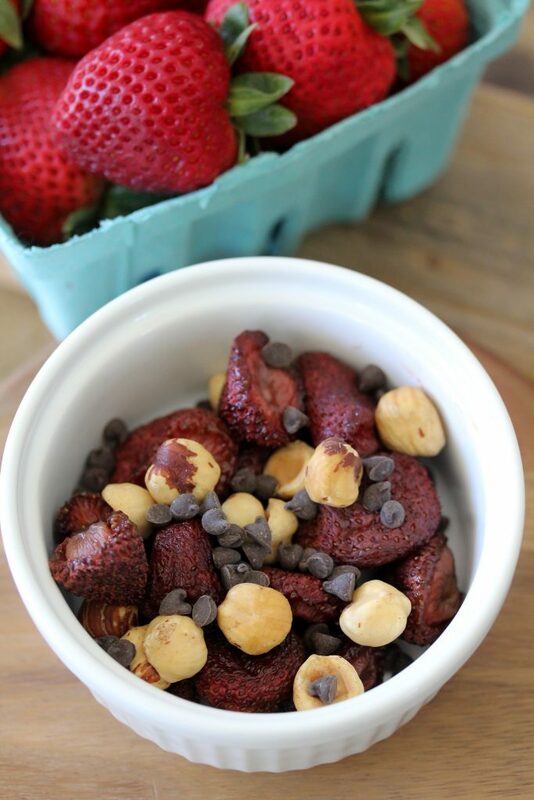 Let the strawberries cool and toss them with the hazelnuts and chocolate chips. What do I do with the coconut sugar?